The location positions Lawrence Station near many high-profile corporations, including Apple, Google and Microsoft, Lawrence Caltrain Station and expanding retail offerings, plus access to Silicon Valley Power. Lawrence Station is a five-story class-A spec office building with 173,474 rentable square feet. 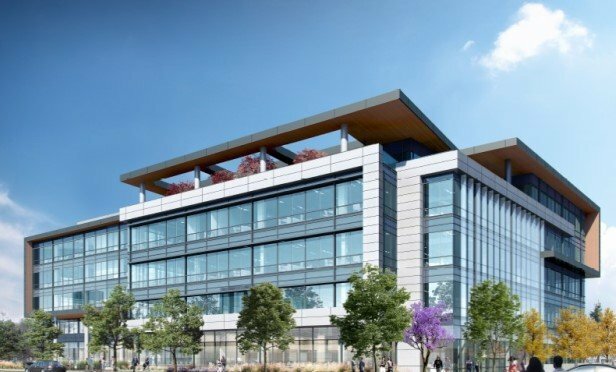 SANTA CLARA, CA—Most new Bay Area projects look to position near a transit element, but one development has several tenant-attracting elements up its sleeve. Lawrence Station is a five-story class-A spec office building with 173,474 rentable square feet and a neighboring parking garage.